This is my contribution to the CMBA Spring Blogathon “Words…Words…Words.” Funny enough, this idea for a blogathon started with me, with the idea that we often focus too much on directors, and not on writers, when reviewing, analyzing, or discussing classic film. Then, lo and behold, I chose a movie to write about that was written and directed by the same fellow, Stuart Paton, who had a busy career at Universal (formerly IMP), but never got much recognition. This may in fact be his best-known movie, although he kept working until 1938. As the story begins, a strange giant sea creature has been rampaging the seas. The American naval ship Abraham Lincoln is sent to investigate, and Professor Arronax (Dan Hanlon), from France, is invited along. He brings his daughter (Edna Pendleton), who rapidly becomes interested in Ned Land (Curtis Benton), the “famous harpoonist,” aboard ship. 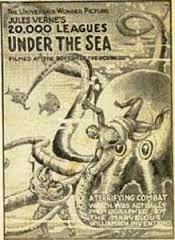 The ship is rammed by “the creature” which turns out to be the Nautilus, the fantastic submarine of the enigmatic Captain Nemo (Allen Holubar, who looks vaguely like an East Indian Santa Claus), and “Rudderless, the ‘Abraham Lincoln’ drifts on.” Nemo rescues all of the named characters and takes them prisoner. After they pledge not to escape, Nemo shows them the wonders of the underwater world, and even takes them hunting on the sea floor. When a pearl diver is caught in the clutches of a giant octopus, Nemo sends Ned Land and his Lieutenant out to rescue him. Meanwhile, soldiers in a runaway Union Army Balloon are marooned on a mysterious island not far from the submarine. They find a wild girl living alone on the island (“a child of nature” played by Jane Gail). Nemo sees the castaways and sends them a present: a chest full of various necessities they will need to survive. One of the soldiers manages to coax the wild girl to live in his shelter, which he chastely guards from outside while she sleeps, stopping one of the other soldiers from attacking her. He also convinces her to trade her leopard-skin one-piece for men’s clothing. Suddenly, the yacht of Charles Denver (William Welsh) arrives at the island. A former Indian colonial officer, he has been haunted by the ghost of a woman (Princess Daaker) that he attacked years ago; she stabbed herself rather than submit to him. He fled with her young daughter and then abandoned the child on the island. The long-tormented Denver has returned to see what became of her. The wild girl meanwhile relates the story of how she came to the island to the nice soldier. Denver quickly becomes disoriented and lost. An evil Union soldier schemes and with help from surprisingly compliant yacht crewmen kidnaps the wild girl onto Denver’s yacht. Another soldier swims aboard to rescue her. Denver is shocked to find her in his cabin. At the same time, Nemo discovers that the yacht belongs to Denver, the enemy he has been seeking all these years. The Nautilus destroys the yacht with a torpedo, but the girl and her rescuer are saved from the water by Captain Nemo. In elaborate flashback scenes to India, Nemo reveals that he is Prince Daaker, and that he created the Nautilus to seek revenge on Charles Denver. He is overjoyed to discover that the abandoned wild girl is his long-lost daughter, but his emotion is such that he expires. His loyal crew bury him at the ocean bottom. They disband and the Nautilus is left to drift to its own watery grave. Anyone who has read “Twenty Thousand Leagues Under the Sea” will immediately notice that this plotline adds a great deal to that story. The source of most of it is Verne’s “Mysterious Island,” which served as a kind of sequel to “20,000 Leagues” and solved the mystery of Captain Nemo’s origin. By combining the two, writer-director Stuart Paton has given the audience a much more complete story, but he has added a number of expensive action sequences and cluttered the screen with more characters than we can keep track of. He has made matters worse by introducing two female characters, neither in the original books, apparently as love interests, although the romantic storylines are never paid off. It would have been quite shocking in the America of “The Birth of a Nation” had the Indian wild girl ended up married to the heroic white Union soldier, but we do not get that resolution here. I suspect it was cut for being too controversial. OK, so it’s a busy storyline with a lot of characters, many of whom never even get the dignity of names, but does it remain true to Jules Verne? I would have to say yes, overall. 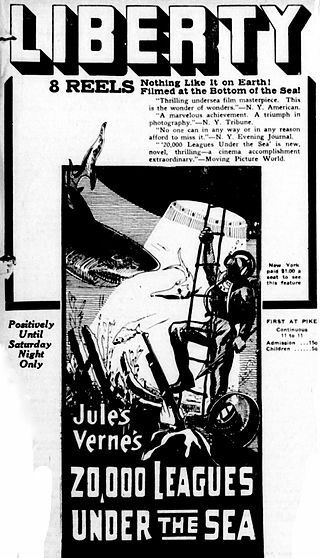 Verne spent many pages of his novel describing the undersea wonders that Arronax was permitted to see through the “crystalline window” of the Nautilus, and, enamored of their new “underwater photography” techniques, the cameramen at Universal also linger on corals, sharks, and schools of fish. 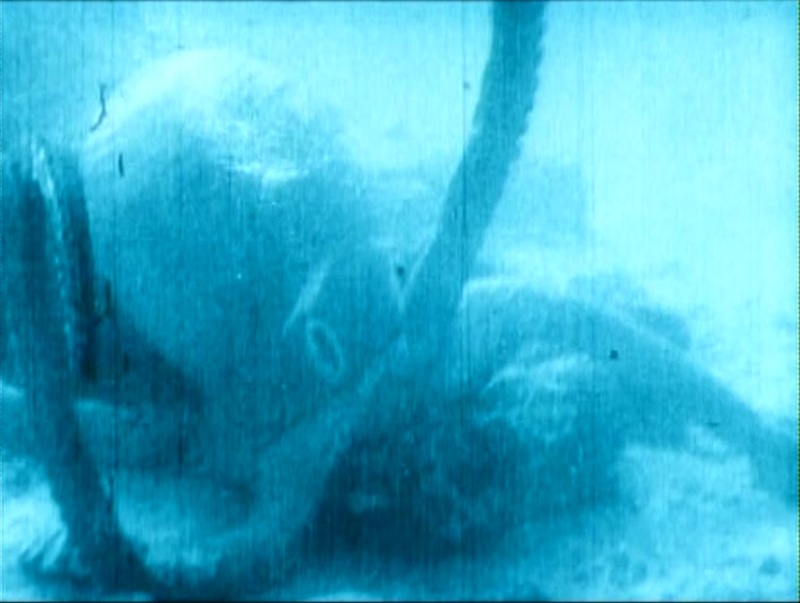 Actually, the camera never went into the water, but a system of watertight tubes and mirrors allowed the camera to shoot reflected images of underwater scenes staged in shallow sunlit waters. For 1916, this looks great, as do the diving suits the characters wear during their external ventures, with rather compact oxygen tanks attached. These convincing effects were further complimented by a genuine full-scale submarine, painted to resemble the Nautilus as described by Verne. It’s not as exotic as the later Disney version (itself based on illustrations by Alphonse de Neuville and Édouard Riou), but it is clearly a functioning vessel, as is the Abraham Lincoln and most shots we see of Denver’s yacht; few if any miniatures are substituted for the ships. During the flashback sequence, we see an impressive palace and enormous city gates which dwarf the extras scrambling beneath them. In fact, the one effect that is disappointing is the octopus, which is just plain goofy-looking. Director’s note: don’t put googly eyes on your scary monster. All those effects apparently cost quite a bit, rather more than the still independent Universal Film Manufacturing Company could really afford. This was to be their big money release, and should have been a big hit, but it wound up costing so much that they couldn’t recoup the expenses. This may have partly contributed to Paton’s later bad reputation as a director. The reviews at the time, to judge at least from “Moving Picture World” were fairly kind, and particularly enthusiastic about the underwater photography (including, to my surprise, the octopus!). 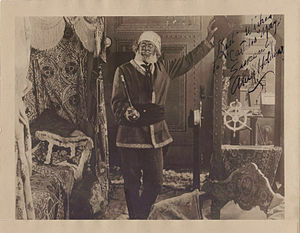 The reviewer was somewhat mixed on the acting, and a bit left-handed about the directing (“Stuart Paton…has been confronted by many difficult problems and, in the main, has solved them with much skill”). To us today this movie remains an impressive technical achievement from a century ago, but maybe not the most compelling version of the imaginative tale ever told. You can see it for free: here (no music) or here (bad music. Don’t say I didn’t warn you). I have a copy of this film and kind of enjoyed it, mostly for the sets and production designs and effects. The acting and story are…well…quaint. It does have a lot of the spirit of Verne’s tale. I would like to know more about the submarine. Was it a real submarine? Could it submerge? Was it a retired military or commercial sub? Or was it made especially for the movie? Thank you for this blog; very enjoyable and informative. 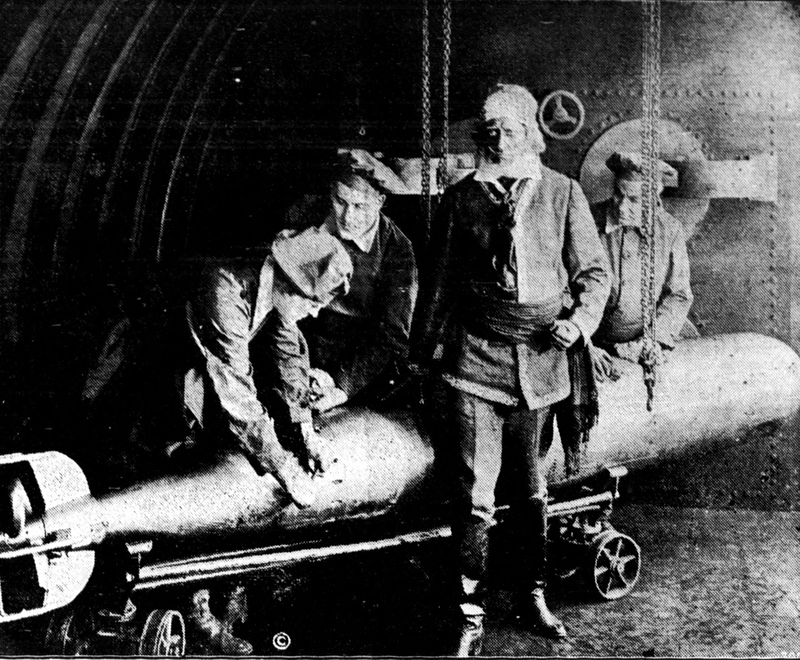 It states that this is, “a full-size navigable mock-up of the surfaced submarine Nautilus.” That makes it sound unlikely that it functioned. 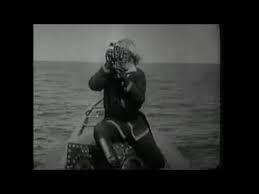 Incidentally, if historical submarines interest you, you also might want to check out “A Submarine Pirate” with Sydney Chaplin (also reviewed on this site). A very interesting post! Sounds like quite an ambitious undertaking for its time. But how exciting this must have been for the audience! Thanks for the comment! Yes, it may have been a bit /too/ ambitious, but it must have been a thrill! This sounds like quite a movie! The screenshots look amazing, and this post was great! Thanks! Thanks for reading! I had fun with it, odd though it was in some ways. After all, the idea of a “special effects” movie WAS pretty new. Thank you for your thoughts! I did enjoy it to a certain degree, but it does seem like at a certain point they just threw out the story and lost track of several characters. I’m not even clear how anyone was supposed to get home in the end – the Nautilus was scuttled, the Abraham Lincoln drifted away, and the yacht was blown up. Maybe they just lived like Gilligan’s Island for the next hundred years? And, yeah, the “wild girl” was special. Fascinating information. I can’t say I’ve read much Verne beyond my Classics Illustrated days, but I’m now intrigued. Thanks for the interesting read. Thank you for the comment! I’ve only read this and one other novel by Verne, but it always surprises me how technical he gets about inventions, undersea visions, etc. but how weak he is on plot and character development. It seems that his enormous imagination made up for not following the standard rules of fiction! I love the look of this film, judging by the screen caps you posted. The underwater scenes sound amazing! Thank you for stopping by and reading! It’s still interesting in a number of ways, it just could have used a bit of tweaking to keep the audience engaged. Enjoy!